If you are looking for a casino that offers an exciting theme, a range of outstanding games to choose from and a bonus offer that has to be seen to be believed then take a closer look at the high quality service provided by the Golden Tiger Online Casino. Enjoy video poker, blackjack, slots and much more at this outstanding casino boasting hundreds of top quality games to play. One thing is for certain when you join Golden Tiger Casino and that is that they look after their new customers superbly well. Not only in terms of customer service, but also thanks to one of the most generous Welcome Bonus deals you will find at any online casino. Over your first five deposits, you could earn up to a maximum of £1,500 in bonuses on top of the cash you deposit into your account all as a thank you for signing up with the casino. For your first deposit you receive a 100% Match bonus of up to £100 and then on your second, you receive a 50% match bonus up to £300. On the third deposit you make a 20% match bonus is payable which could be worth up to £500 and on the fourth, a further £500 bonus is available, but this time as 30% of that fourth deposit. Finally, the fifth deposit is another 100% matched bonus of up to £100 to complete your offer and give you plenty of cash to play with at the fantastic range of games available at Golden Tiger Casino. The minimum deposit to claim these offers is £40 and you must start your bonus within seven days of registering with the Golden Casino site. If you are looking at where you can spend your deposit and bonus money then the Golden Tiger Casino has the perfect choice of over 510 outstanding casino games including the casino’s regularly updated choice of Best Casino Game of the Day. Slot fans are spoilt for choice with some of the best slots you can find online all available in one spot. This includes some huge film and TV tie in slots such as Bridesmaids, Game of Thrones, Jurassic Park, Terminator 2 and two top quality Tomb Raider slots. IN addition, there’s a host of progressive jackpot games to pick from including Tunzamunni, Major Millions and the hugely popular Mega Moolah progressive with its guaranteed jackpot of £1,000,000 or more. Add to this a wide range of video poker, roulette and blackjack games plus a host of other quirky options to play and you have without doubt one of the most impressive online casino packages you can find anywhere on the Internet. 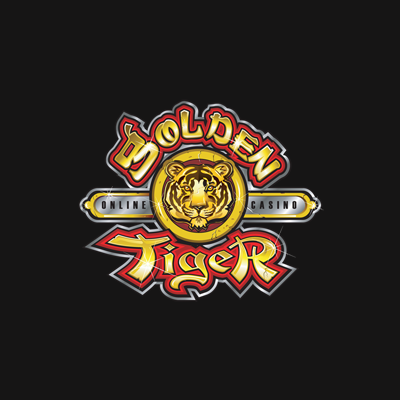 The theme for the Golden Tiger Casino may not be immediately apparent, after all a Golden Tiger is only likely to be some form of charm or similar, but the overriding theme for the casino is the Far East. The theme is exemplified by the typeface used on the casino and the extensive use of gold and red in the livery, both of which are reckoned to be lucky colours in some eastern cultures.